Brollies & Parasols were very proud to sponsor a local Halloween party, Fab-BOO-Lous Family afternoon, this weekend in aid of the very worthy cause, Save The Children Child Refugee Appeal. 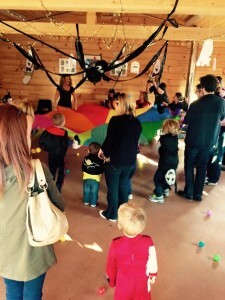 Aimed at toddlers and young children with their families, the event had a spooky Halloween party hosted by child entertainers Party Fizz as well as apple bobbing, doughnut dunking, glitter tattoos, cake decorating and batty arts and crafts. There was also a raffle for the adults with great prizes from Queen’s Club, local restaurants, spa treatments and of course lots of umbrellas! Save The Children is doing an amazing job with teams across Europe helping refugee children who are frightened, homeless and who have witnessed unspeakable horrors. Europe is facing its worst refugee crisis since the Second World War. More than half a million desperate people have made the perilous journey across the Mediterranean Sea – that’s 3 times more than in the whole of 2014. 1 in 5 of those arriving by sea are children. In Italy, 9,400 children have arrived alone since January, without any parents or families at all. For those who survive the treacherous journey, the terrifying ordeal is not over. Children often arrive in Europe scared and exhausted. Many have seen and experienced untold horrors during their journey. The physical impact of travelling is also clear. The children our teams have met have had severe sunburns and blisters from their journey. Save The Children is Brollies & Parasols nominated charity so it is a cause that Brollies & Parasols are committed to help and support. 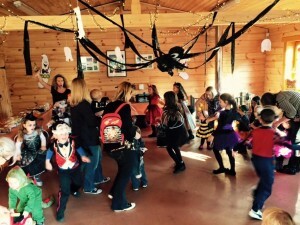 The Halloween event was a great way to get families in the local community actively helping and supporting such a relevant cause, as well as having lots of fun. Brollies & Parasols sponsored the event and together with ticket sales, raffle tickets and refreshments during the afternoon the event raised over £600 for Save The Children.